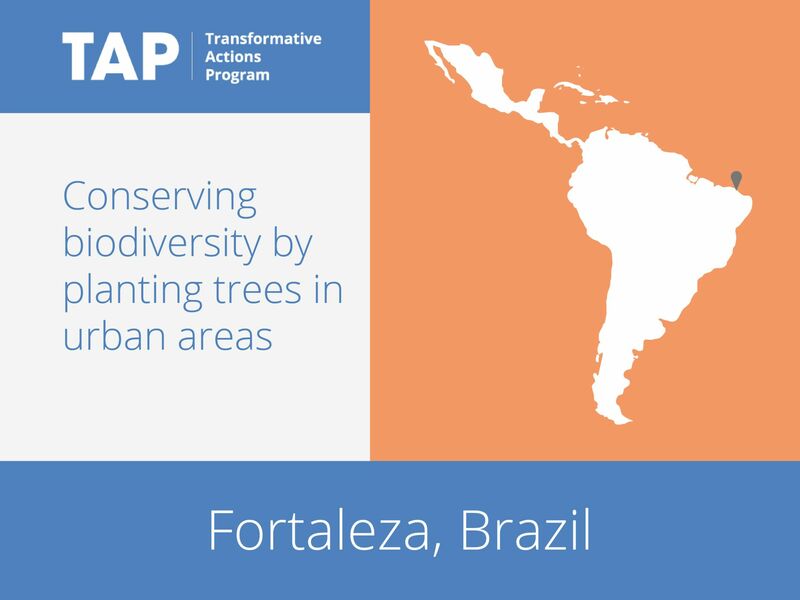 To combat the urban heat island effect, Fortaleza is aiming to plant 200,000 trees by 2030, providing 15 m² of green space for every resident. This initiative will make the city more livable, while the new trees will reduce greenhouse gas emissions by 2,400 tons of CO2 equivalent by 2030. The first stage involves planting trees on 14 major roads. In the long term, sidewalks will be redesigned to make them compatible with afforestation. As part of its project, the city will offer participatory workshops to listen to the demands of the population, and will allow all citizens a say in where the trees should be planted.